When you think of the Fourth of July what pops into your head? Home-made ice cream, fireworks, concerts, picnics, flags and streamers on kids bikes? Do you also think of courage, freedom, gratitude and faith? 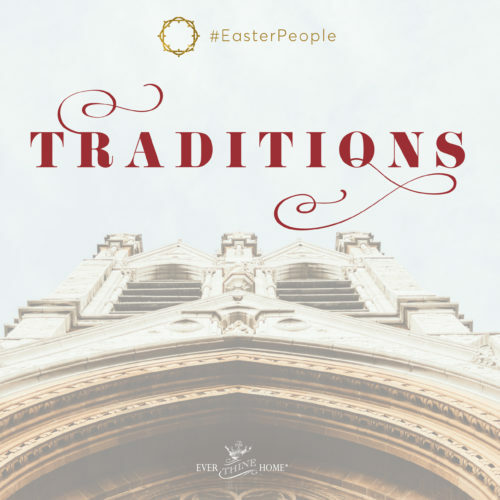 This holiday, which began to honor the risk taken by a group of men who dared to put their names on a parchment in defiance of the king of England, has morphed over time into simply a weekend of revelry. 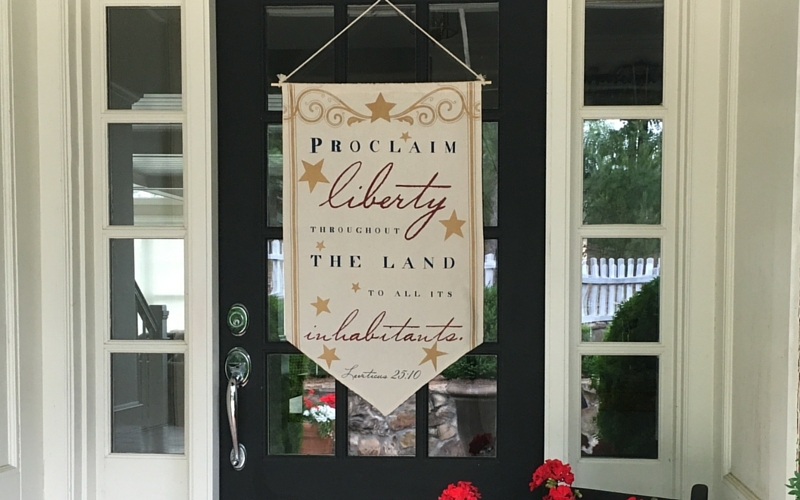 To be sure Independence Day is worthy of our celebrations because it marks our freedom to worship, our freedom of speech and other freedoms listed in the Bill of Rights. I love making much of occasions like this one. 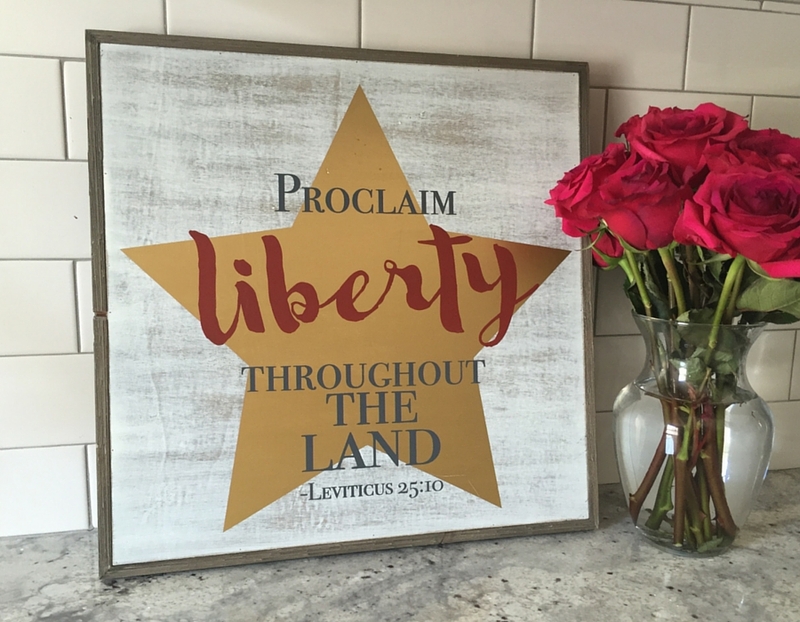 It’s worth our time and effort to rejoice over the freedom God has graciously granted us in America. However we rarely focus on the cost of our freedom or the foundational beliefs and values upon which our free society is built. That foundation was built on the truth of the Bible. Men and women so believed in its eternal unchanging words that they risked their lives to build a society based on its veracity. So this Independence Day, I want to challenge you to take some time to focus on the courage and faith of others, both those who signed the declaration and other faith heroes whose lives are great examples for us and our children to follow today. The easiest way to add this to your holiday activities is simply to read some stories as a family. Reading together takes no prep other than finding the stories, yet it has value for all who hear about the lives of men, women and children who lived courageous lives because they knew Who they most wanted to please. 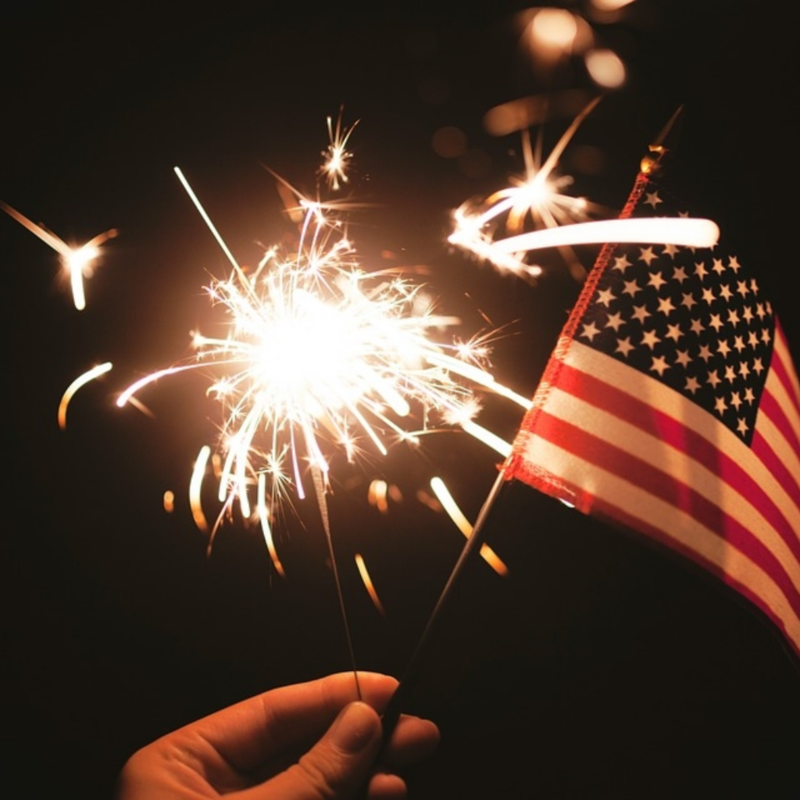 Have a wonderful Fourth of July and may you and yours focus on the courage of others, be inspired by their example, and give thanks for their ongoing witness! 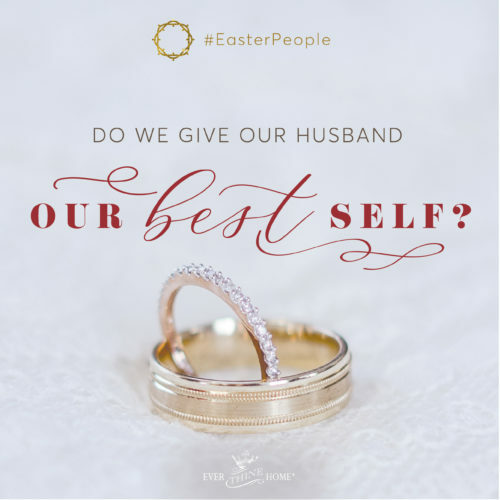 Do We Give Our Husband Our Best Self? When I think of July 4, I think of all the great things the USA has done and is able to do. I am so thankful for our freedom and it scares me to see it eroding. Beautiful banner and good reminder of the meaning of the day! As someone who has served in the military, I would be honored to display this banner in my house. I am so grateful for the men and women who fight for our country and if I won, I’d proudly display this banner at my home. I love ETH and can’t wait to add to my collection for my home. Beautiful and so full of godly wisdom. Thank you so much for your life poured out in that book to help others!!! Being married to a military man, I am aware of the sacrifices made so that our country enjoys the freedom it does. 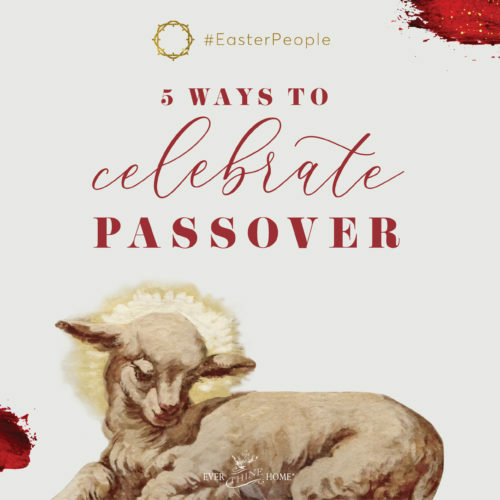 But it still pales in comparison to the sacrifice Jesus made so that believers can have spiritual freedom. Praise God for Jesus! As a Veteran, I thank you for pointing out the true reasons for celebration. May we keep our nation in our prayers thanking God for His many blessings we enjoy here! Beautiful banner, looking forward to hopefully winning so I can display it on my door! I’m looking forward to celebrating July 4th. Thank you for your encouragement and reminder to remember why we celebrate this day! That is a beautiful banner! Thanks for the reminder of why we celebrate, now days more than ever it is important to remember. Grateful to celebrate the Fourth every year with those whom have fought for our freedom. Indeed, we must never forget the bravery and sacrifices of those great men and women who gave so much for our liberty! We must never forget the price that was paid for our freedom. Help us Lord, teach these truths to our children. I love this powerful verse! Thank you for displaying it so beautifully! I was truly blessed by this posting. I am a veteran myself. But most importantly a born again Christian praying to be more courageous. Thank you so much for highlighting what’s most important. I’m thankful to be living in America. We need to be vigilant and take action to keep our freedom. God will bless our obedience. We are so blessed to live in a free nation. May we never take it for granted! Begin 6 weeks of Officer Candidate School with the United States Marine Corp! God bless America and all those who serve to preserve, protect and defend our nation! Thank you for always reminding us to remember what we have! Grateful for the men who were willing to give up everything to secure our freedoms…. Stay up to date with Ever Thine Home! © 2019 Ever Thine Home. All Rights Reserved.